CHRISTUS St. Vincent Regional Medical Center, located in Santa Fe, New Mexico, and CHRISTUS Health, located in Irving, Texas, have agreed with the U.S. Department of Justice to resolve allegations of violating the federal False Claims Act (FCA) with a settlement of $12.24 million plus interest. The allegations against the CHRISTUS health care companies were made by a former indigent healthcare administrator under the qui tam provision of the FCA. This whistleblower provided information that the two health care companies were making illegal donations to county governments. Between 2001 and 2009, the CHRISTUS companies allegedly made donations in bad faith to various counties, which in turn caused New Mexico to present false claims to the federal government through the Medicaid program. Individuals who file qui tam suits, known as relators, on behalf of a state or federal government are entitled to share in any recovery the government obtains based on the suit – whether that recovery is through a settlement or court award. Relators may receive between 15 to 25% of the award. The whistleblower in this suit is set to receive $2.29 million for her part in bringing the qui tam suit. During that time, New Mexico’s Sole Community Provider (SCP) program provided additional Medicaid funds to hospitals in rural communities. The federal government then reimbursed the state about 75% of its health care expenditures under the SCP program. 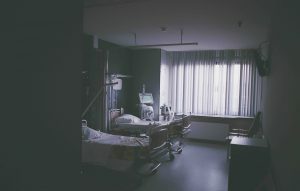 Federal law required that New Mexico’s “matching” share of the SCP program payments must consist of state or county funds and could not contain donations from private hospitals like CHRISTUS. Private hospital funds could not be used to satisfy New Mexico’s financial duties under Medicaid. Through CHRISTUS donations, the state made inaccurate and false claims for federal funds. States and the federal government are increasingly concerned about health care fraud that results in money being pulled from necessary programs like Medicare, Medicaid, and state-level programs like Medi-Cal. While the DOJ searches for and tries cases regarding all types of fraud, the health care industry typically has the greatest amount of recovery based on FCA claims. For example, in July, the DOJ announced a nationwide health care fraud initiative led to charges against more than 412 individuals and a recovery of $1.3 billion. If you believe you have information regarding health care fraud, such as improper billing, contact our experienced San Francisco qui tam lawyers of Brod Law Firm at (800) 427-7020 to schedule a free consultation. Becoming a relator can be difficult and a long road. However, the result can be worth it by not only correcting fraud but receiving part of the settlement.